was a great experience very friendly. Ryan was awesome!! Very professional and took very good care of me. Great Service!! Thank you for the great customer service and service! I had a great experience working with Matt! He was extremely patient and accommodating throughout the entire process. I never felt pressured and his customer service was above and beyond what I normally experience with car salesmen. I highly recommend him to anyone looking to buy their dream car! Matt was so amazing through the process of looking for a new car! It was my first time going through the process and I was super overwhelmed but he made sure to explain everything every step of the way. He was never pushy, only helpful! Great experience! Very friendly, David Baker made my car buying experience easy and fun! He went above and beyond so I could leave with my new car the same day! 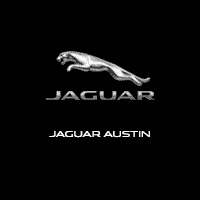 I highly recommend David and JLR Austin!! David was a pleasure to deal with "No High Pressure" Amazing Guy! I will buys a few months before my lease expires. Thank you David!